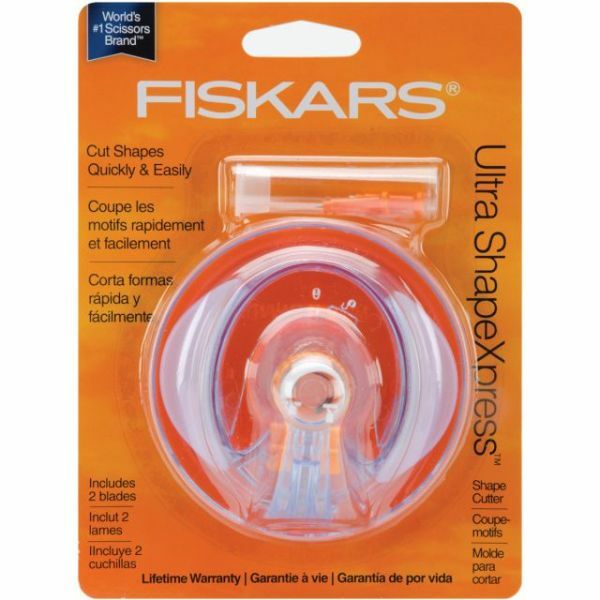 Ultra ShapeXpress Cutter - FISKARS-Ultra Shape Xpress Cutter. This incredibly versatile tool with simplified design and interior swivel blades makes precise cuts effortless. It glides in every direction. The ergonomic shape and SoftGrip technology makes it comfortable to hold and easy to maneuver. A freehand spacer on the bottom allows easy switching from template to freehand cutting. A fine tuning dial adjusts blade depth for different paper thickness and personal preference. Simple drop-in blade replacement with arm lock allows blade changes without effecting depth setting. 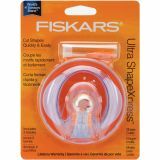 Shape templates and replacement blades are available for this cutter (sold separately). Imported.